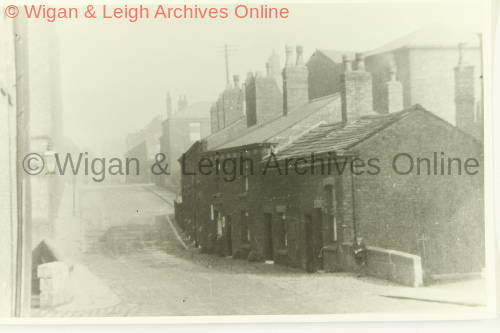 Image is of cottages on Bolton Old Road which is cobbled. A small boy is standing by the bridge over the stream. A gas lamp is on the left by the mill wall.